Thomas Hill Organics is sometimes overlooked in the discussion of the best places to eat in Paso Robles. It shouldn’t be. The informal, friendly atmosphere and simple, unassuming décor can be deceptive, but the food is top-notch. French Chef Julie Simon is extraordinary talented and creative. Simon makes the most of her raw materials, most of which come from the restaurant’s own farm. Her food often seems to literally jump off the plate with fresh, vibrant flavors and impeccable class. I always find the cooking here richly flavored yet never heavy. 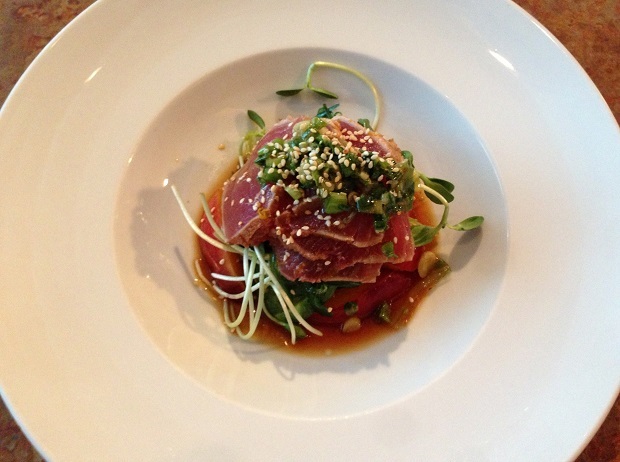 The Ahi tuna, seared and served medium rare, is a flat-out great dish. Refreshing and light yet packed with flavor, it is a fabulous start to this dinner. All the elements are in perfect balance. 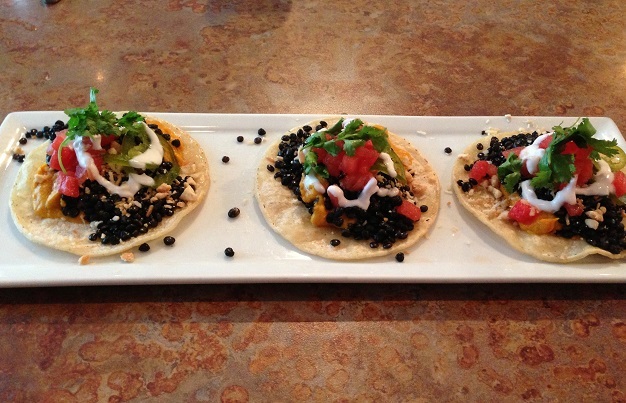 I rarely miss an opportunity to order the black lentil tacos when I see them on the menu. The interplay of sweet and savory nuances plus the sheer brilliance of the flavors elevates these tacos to a high level. What a wonderfully pure, delicious and satisfying dish. I rarely order dessert, but the nectarine and apricot cobbler that passes by a few times looks too good to resist. It is. Although enough for at least two people, I eat virtually the entire thing myself. The succulent nectarines and peaches are bursting with extraordinary juiciness and pure intensity. I make a point of eating at Thomas Hill Organics at least once (but usually more than that) when I am in Paso Robles. Ideally, the wine list might be a little more interesting, but that is a relatively small critique. The casual feel of both the indoor dining room and the patio make Thomas Hill a great place to relax and enjoy Paso’s always welcoming atmosphere.